Custom built sizes are also available. Contact us for more details. 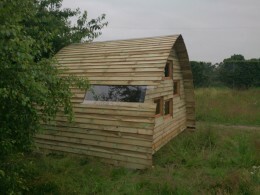 Small bird hide 3m long. 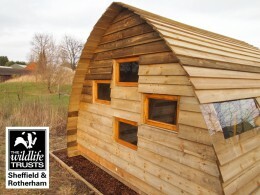 Customer: Sheffield and Rotherham Wildlife Trust. Corporate team building day for Severn Trent Water. 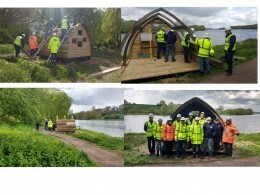 The team built a bird hide at one of their reservoirs in Derbyshire. 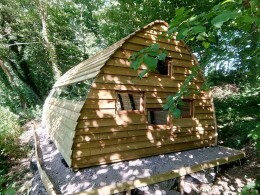 Medium Bird Hide with full length windows at disabled and child height. Customer: Countryside Education Trust. 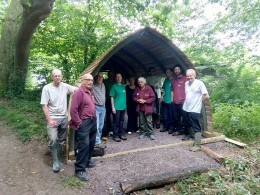 The Hush Hide was designed and built by Washington Old Hall (National Trust) wildlife experts Ellaine Hush and her team. 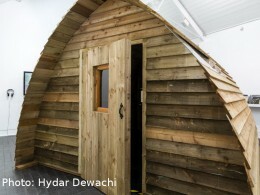 The Bird Hide was chosen to be part of an Art exhibition at Jerwood Arts Space, London. Nov 2016. The Bird Hide at Polesden Lacey National Trust Site, Surrey. 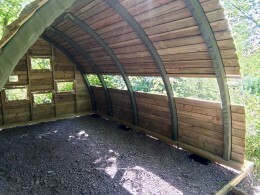 The Bird Hide had a timber end and door on the front to create a 'Sound Arc' for visitors to relax and listen to music. 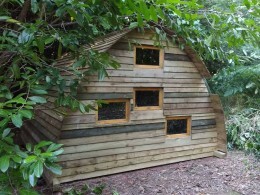 The Bird Hide at Woodton Primary School, Norfolk. 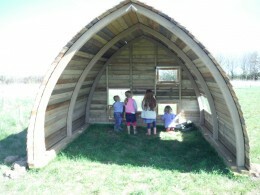 Children enjoying their bird hide at Red Hen Nursery, Lincolnshire. 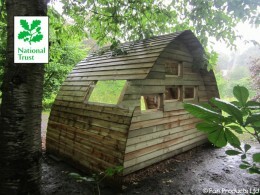 The bird hide at The Countryside Education Trust with full length windows at child and disabled height. 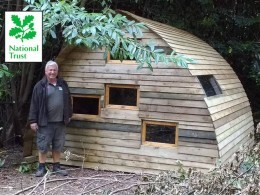 Ideal for community, corporate or team build projects. Bird Hides with a difference, these hides look stunning against the landscape and keep bird watchers hidden and sheltered from the elements. 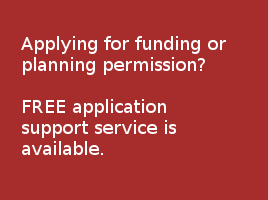 They are easy to move and do not require planning permission. Made from pressure treated weather board, the hides have a life span of over 10 years. The wood doesn't require staining or painting and will age beautifully to blend in with the landscape. 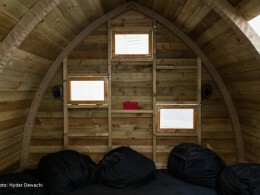 Each hide comes with 4 viewing ports / windows which can be opened. We recommend opening the viewing ports in extreme weather / on exposed sites. Our bird hides come flat packed for self assembly. You can modify your hide as you wish, creating your own viewing windows once the hide is positioned.